March is Women’s History Month, and it’s a good reminder for us to tell the stories of the females in our family tree. Today I’d like to tell you about my great-grandmother, Emma Scheibel, who married Homer B. Steele. Emma is an important branch on my family tree because she’s my mother’s mother’s mother. In DNA terms, that means she’s my direct mitochondrial line ancestor. From her, and her mother before her, and her mother and so forth through umpteen generations, I’ve inherited my mitochondrial DNA type. It’s a genetic pathway to the past that I don’t have for any other ancestral line. Emma Laura Scheibel was born on 6 March 1894 in Columbus, Ohio. Her parents were Ludwig Scheibel and Pauline Treebte or Treebto (which I’ve learned is actually spelled “Treptow”). On the birth register, her name was recorded as Pauline. I don’t know whether that was an error on the clerk’s part, or whether her parents later changed their minds about her name, but she appears as Emma in every other record created about her. Emma’s father, Ludwig Scheibel, was born on 29 September 1839 in Germany, possibly Württemberg. He sometimes went by the American name Louis. Her mother, Pauline Treptow, was born in Blumenfelde, Kr. Konitz, West Prussia, on 25 February 1855. They married in Columbus on 13 April 1880. It was Ludwig’s second marriage. A widow, he already had a son, Peter Scheibel, from his first marriage. According to my grandmother, Wilma (Steele) Herrel, Ludwig and Pauline retained a lot of their native customs and spoke German at home. In public, they spoke English with a heavy German accent. Knowing this, I imagine Emma grew up speaking both English and German. 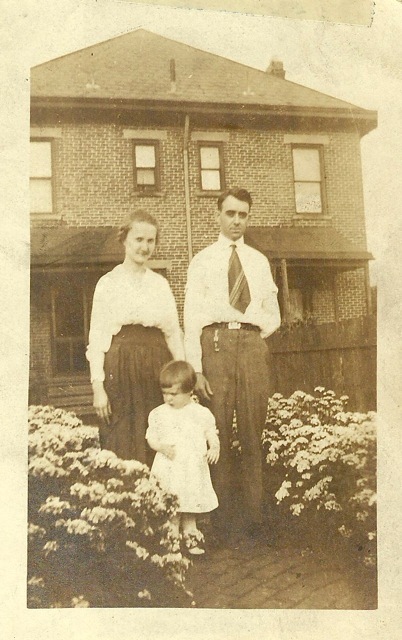 When the census was taken in June 1900, Emma was six years old and not yet attending school. Ludwig Scheibel, age 63, was a harness maker, and owned the family’s home at 428 E. Fulton St. He had immigrated to the U.S. in 1852 and was a naturalized citizen. Pauline, age 45, had immigrated in 1875. She had given birth to nine children, but only five were living. They were Louisa Scheibel, age 15; Willie Scheibel, 13; Augusta Scheibel, 9; Emma; and Albert Scheibel, 4. On 11 April 1907, when Emma was 13 years old, her mother Pauline Scheibel died of tuberculosis. Those had to be difficult years for the family, as her brother Willy died as well. By summer 1910, Emma’s school days were behind her. She was 16 years old and working as a nurse in a hospital. But there was another blow yet to come. On Christmas day 1910, Ludwig Scheibel died of apoplexy (stroke). Emma and her siblings were orphans. I’m not sure how Emma met Homer Burdell Steele, a native of Cheshire, Gallia County, Ohio. Homer worked as a shipping clerk for the Federal Glass Company in Columbus, and lived in the same part of town. Perhaps their paths crossed at church. Rev. Hines married Emma and Homer on 20 May 1915, when she was 21 years old. 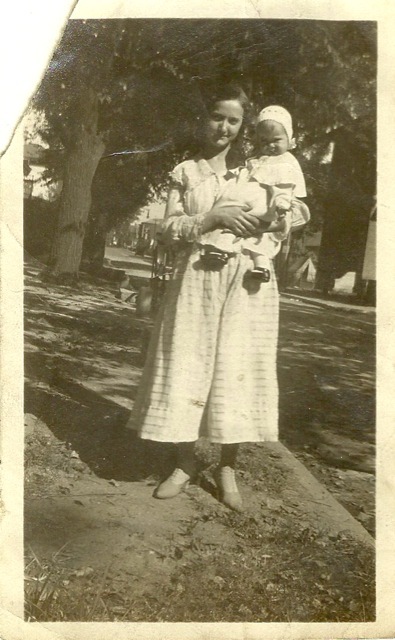 Their first child, Wilma (my grandmother), was born 23 September 1917. Emma and Homer’s second daughter, Rosemary Steele, was born 28 November 1919. After Rosemary, they had four boys in succession: Kenneth Steele, born 1 March 1925; Homer G. “Junior” Steele, born 26 November 1929; William “Billy” Steele, born 2 February 1931; and Ronald Steele, born in 1932. Wilma identified the picture below as the last one she knew of that shows the entire family. It was probably taken in the summer of 1939. 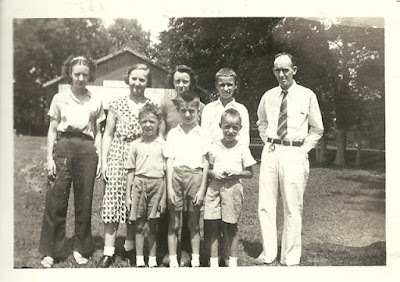 In the back row, from left to right, are Wilma, Emma, Rosemary, Kenny, and Homer Steele. In the front, from left to right, are Billy, Junior, and Ronald. Tragedy struck on 14 November 1939 when Billy, playing in the basement with a friend, accidentally started a fire. “The buckle on his shoe caught on a wire on baled wax paper & he lit a match to see what he could do,” Wilma recalled. The waxed paper ignited and Billy, unable to free himself, perished in the fire. He was eight years old. I imagine that was something that haunted Emma the rest of her life. Time went on, although it seems Emma was not well as she reached middle age. “My father always took care of my mother as she had a heart condition,” Wilma noted. Sadly, Emma lost another son to another accident. Junior had enlisted in the Navy after high school, and, at 20 years old, was posted in the Panama Canal Zone. He was off duty but helping a friend do some repairs on radar equipment when he touched a live wire. He was electrocuted instantly and died on 18 May 1950. Emma succumbed to congestive heart failure two years later, on 23 November 1952. She was 58 years old. She was buried in Sunset Cemetery in Columbus, along with her sons Billy and Homer Junior. My grandmother remembered Emma as a good mother and home maker. While she had few outside interests, she strongly believed in God, home, and family, and wanted her daughter to be happy and prosperous. My mother remembers Emma, too, particularly the way she made homemade German noodles. She would roll the noodle dough out and cut it into long strips, then slice it into noodles. Those raw noodles looked really good to a little girl! But Grandmother Steele wouldn’t permit anyone to taste before cooking. Now that I think about it, maybe that was a result of the challenges of feeding a big family through the Great Depression. There’s something that struck me as I wrote this. You see, I’ve had this information about Emma for quite a while; it’s not new research. But it wasn’t until I sat down and wrote this profile that I actually began to see her life. I think there’s a big difference between bits of information in a database and a story that pulls them together into a cohesive narrative, even a short one like this. The process of writing it out as a narrative somehow creates something bigger and more engrossing than you think when you’re only looking at the pieces individually. It also makes me realize I have more research to do on Emma’s family. Writing does that—it stimulates you to fill in the gaps and reach further into the records. Yes, it takes time, but it’s time well spent in the end. Is there a woman in your family tree that you’d like to understand better? If so, you might try writing a little profile or vignette for her. Lisa Alzo offers a month’s worth of “Fearless Females” writing prompts to help you (see her March 2016 blog archive). Gena Philibert-Ortega shares some of her favorite tips and resources for researching females in her Women's History Month 2016 series. I hope you enjoy finding and telling the stories of the women in your family history, too. Franklin County, Ohio, Probate Court, birth records, vol. 6, p. 30 (1894), Pauline Scheibel; Ohio History Center (OHC) microfilm #BV10,944. “Ohio Deaths, 1908-1953,” digital image, FamilySearch (www.familysearch.org: accessed 3 Nov 2013), death certificate #66095 (1910), Ludwig Scheibel; citing original records, Ohio Dept. of Health, Ohio History Center, Columbus; Family History Library (FHL) microfilm #1,952,768. Evangelische Kirche Grunau (Kr. Flatow), “Taufen, Heiraten, Tote 1850-1859,” p. 107-108, entry 17, Auguste Pauline Treptow (baptized 11 March 1855); FHL microfilm #1,496,973, item 2. “Ohio County Marriages, 1789-1994,” digital image, FamilySearch (www.familysearch.org: accessed 3 Nov 2013), Ludwig Sheibel and Paulina Trabtan (1880); citing Franklin County, Ohio, marriages, vol. 15, p. 285, Probate Court, Columbus; FHL microfilm #285,148. 1900 U.S. census, population schedule, Columbus, Franklin County, Ohio, Ward 4, E.D. 55, p. 6A, dwelling 123, household 141, Ludwig Scheibel; digital image, Ancestry (www.ancestry.com: accessed 3 Nov 2013), citing NARA microfilm publication T623, roll 1267. Columbus, Ohio, Board of Health, death certificates, 1907 vol. 2 (1 March – 30 April), no. 351, Paulina Scheibel; Ohio History Center, Columbus, OHC microfilm #GR9874. 1910 U.S. census, population schedule, Columbus, Franklin County, Ohio, Ward 2, E.D. 43, p. 1, dwelling 13, household 14, Lewis Scheibel; digital image, Ancestry (www.ancestry.com: accessed 4 Nov 2013), citing NARA microfilm publication T624, roll 1180. “Ohio Deaths, 1908-1953,” FamilySearch, death certificate #66095 (1910), Ludwig Scheibel. Franklin County, Ohio, Probate Court, marriage records, vol. 60, p. 315, Homer Steele and Emma Scheibel marriage (1915), Columbus. Ohio Department of Health, birth certificate #77908 (1916), Wilma Lucille Steele; Office of Vital Statistics, Columbus. “U.S. Social Security Applications and Claims Index, 1936-2007,” database, Ancestry (www.ancestry.com: accessed 21 Mar 2016), Rosemary Naomi Steele Rhoten. “U.S. Social Security Death Index,” database, Ancestry (www.ancestry.com: accessed 6 July 2014), Kenneth N. Steele (1925-2013). Ohio Department of Health, birth certificate #98192 (1929), Homer George Steele; Office of Vital Statistics, Columbus. Ohio Department of Health, birth certificate 11272 (1931), William Steele; Office of Vital Statistics, Columbus. Wilma Steele Herrel, Grandmother’s Book, scrapbook, 1989; privately held by Shelley Bishop. This 9” x 11” book contains notes, descriptions, photographs and memorabilia ca. 1917-1989; the author (now deceased) gave it to Bishop in 1989. Ibid. Also, Homer G. Steele obituary, The Columbus Dispatch (Columbus, Ohio), 20 May 1950, p. 2A. “Ohio Deaths, 1908-1953,” digital image, FamilySearch (www.familysearch.org: accessed 21 Mar 2012), death certificate #70642 (1952), Emma L. Steele; citing original records, Ohio Dept. of Health, Ohio History Center, Columbus; FHL microfilm #2,246,396. Wilma Steele Herrel, Grandmother’s Book. The National Genealogical Society (NGS) Family History Conference committee recently sent me an email announcing that I’ve been accepted as part of their official 2016 social media team. I’m happy to have the opportunity to share my excitement for the conference with all of you! The NGS 2016 Conference will be held May 4-7 in sunny Fort Lauderdale, Florida. Not that long ago, some of us were joking about how national conferences seem to favor cold locations and dates over warm, tropical climes. Guess we can’t complain anymore. Margaritas, anyone? NGS has a dedicated 2016 Conference website with all the information potential attendees need—a full program brochure, information on hotel accommodations, and online registration. This year's theme is "Exploring the Centuries: Footprints in Time." They’re offering an early registration discount through March 31. Interest in the conference has been so strong that they’ve added more hotels to the original block. I’m actually going to Fort Lauderdale a day early so I can participate in the Board for the Certification of Genealogists (BCG) Workshop, "Putting Skills to Work," on Tuesday, May 3. 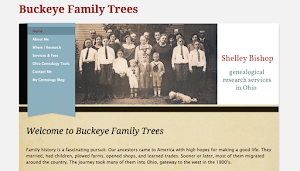 This is a full-day immersion in two topics for intermediate and advanced genealogists. Current BCG President Jeanne Larzalere Bloom, CG, will delve into “Spreadsheets 201: Manipulating Data to Dismantle Brick Walls.” Past-president Rev. David McDonald, CG, is presenting “Reach for the Power Tools: Transcriptions & Abstractions.” I’m really looking forward to these small group workshops with two of my favorite lecturers. But that doesn’t mean the conference is just for experienced researchers. 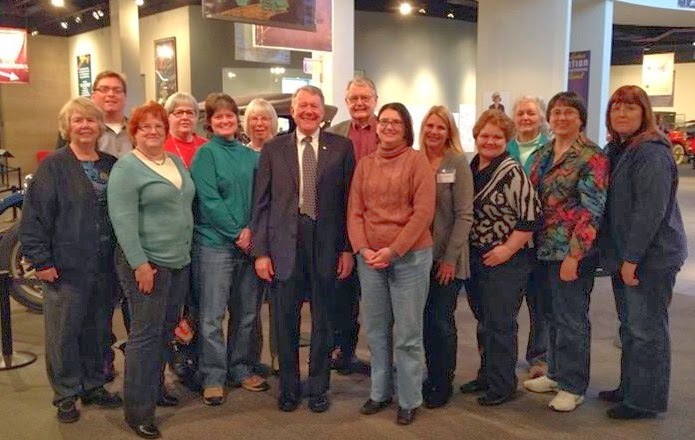 Everyone, even those just starting out, will find plenty of opportunities to learn, grow, and connect with others who share their passion for family history. Add in a bustling exhibit hall and after-hours social activities, and you’ve got a fun-packed schedule. Oh, and did I mention that some of the hotels even have free shuttles to the beach? If you have any questions about the conference, feel free to ask in the comments box below and I’ll try my best to answer. And do let me know if you’re planning to be at NGS in May. I’d love to see you there! Got Irish Ancestors? You're in Luck! If you’re researching Irish ancestors, there’s a lot of good news these days. New databases and digitized original records are making it easier than ever to find your family in the Emerald Isle. Yes, Irish research still has its difficulties. 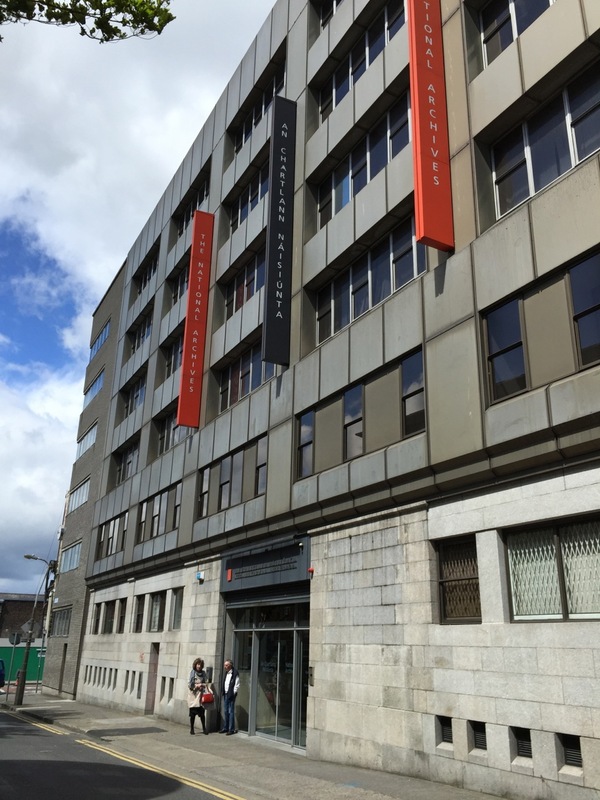 Nothing is going to bring back the historic records lost when the Four Courts building in Dublin burned down in 1922, or the census records of 1861-1891 that the government destroyed. But the clamor for genealogical resources has inspired some helpful substitutes, as well as wider access to surviving records. To keep up with the latest releases and developments, I recommend following the Irish Genealogy News blog by Claire Santry. Her companion website, Irish Genealogy Toolkit, provides a wealth of information and links to help you with your Irish family history research. 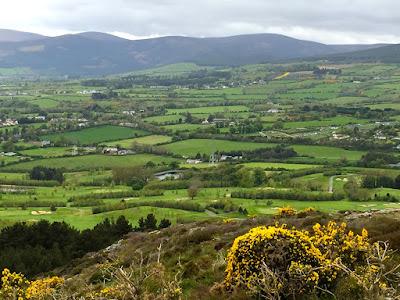 The photos you see here were taken during my trip to Ireland in May 2015. We had a great time, and I can’t wait to go back. Hopefully we’ll be able to see some ancestral sites next time. 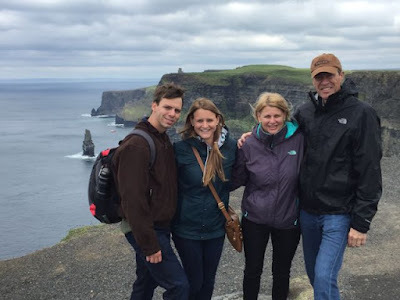 My husband has recent Irish roots—his grandfather, Harry Baxter, and great-grandfather, Robert Baxter, both immigrated from Belfast, Northern Ireland, in the early 20th century. I believe I have Scots-Irish ancestry as well, but it’s much further back in time, and I still have a lot of research to do. But each new database, finding aid, and online record collection helps bring that goal a little closer. I hope it does for you, too. Slainte!